UK networks Orange and T-Mobile have announced how their merger will create a super-company named Everything Everywhere that will control the largest UK phone network with customer base of 30 million people, over half of the UK adult population. The two brands will still operate under their own names, but they will be run by this umbrella corporation, Everything Everywhere, starting officially from 1st July. 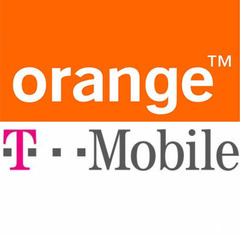 Orange and T-Mobile claim the giant network will deliver benefits for consumers as well as handing them a huge market share. On a technical side, Everything Everywhere say the merger will allow them to strip out duplications in network provision and allow them to deal with the rise of smartphones and the new demands on networks from internet-streaming media phones. As for the name, I think “Everything Everywhere” is a bit of a funny one. I was holding out for Mobile Orange, or perhaps Orange T (??) but clearly they wanted something a bit different for the background organisation. I suppose it’s better than “Some stuff, some of the time” and ushers in the new age of mobile computing – you know.. When Blackberry fans try to use Apple, it often goes wrong. Are you happy handset-shifting? This is great news for both T Mobile and Orange customers and yes T Mobile will start selling iphones, in fact they already do but only to business customers or those who spend lots. So, if the customer now purchases either an Orange or T mobile phone, will they instantly get the same and better network coverage across the country? so will T-Mobile sell iPhones which they don’t now perhaps? They do! I got one after calling 150 and going to the “I’m leaving t mobile” dept. When my upgrade was due! Wish I hadn’t though, their signal and 3G is the worst. In fact it’s worse than that.